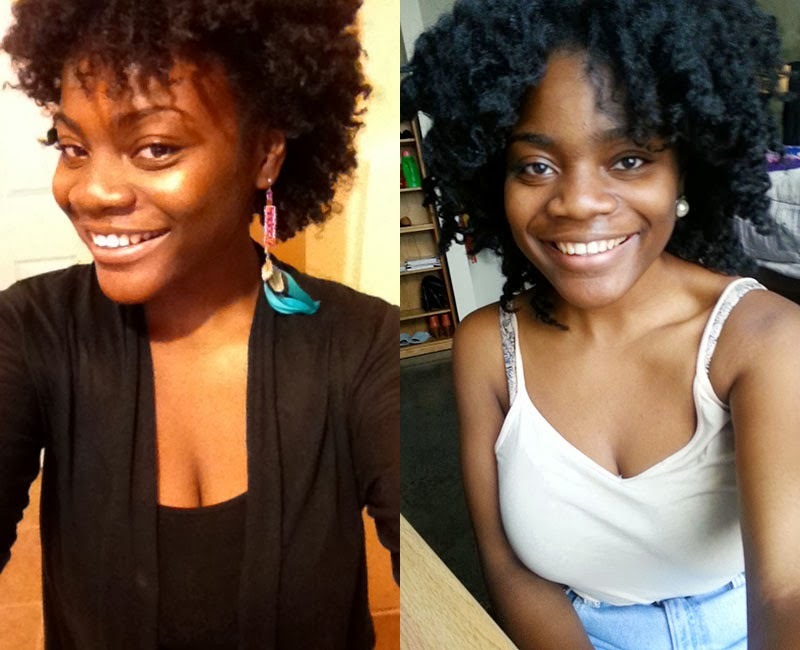 II big chopped my senior year of high school in December of 2010, so I’ve been natural for about three years now. It was one of my New Year’s Resolutions. I returned to natural because throughout my high school years, I had a terrible perception of myself. 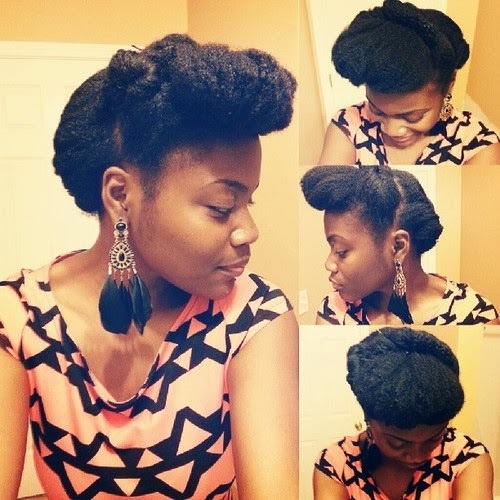 As my hair became lifeless and limp from my relaxers, I also envied those who were perceived as having “pretty hair”. I grew tired of how detrimental and unhealthy those thoughts were, and how they negatively impacted my self-esteem. I really just needed a change, and I desired to become more comfortable with who I was. So I realized that I wanted to experience true self-love by embracing the one thing I hated most about myself, which was my hair. I did not transition per-se, but more so underwent a provisional period before I big chopped, if that makes sense. I decided to stop getting relaxers altogether the summer before my senior year, but still continued getting braids or twists. When I chose to wear the braids or twists, I was trying to figure out when I would take a leap in big chopping and wearing my hair natural. 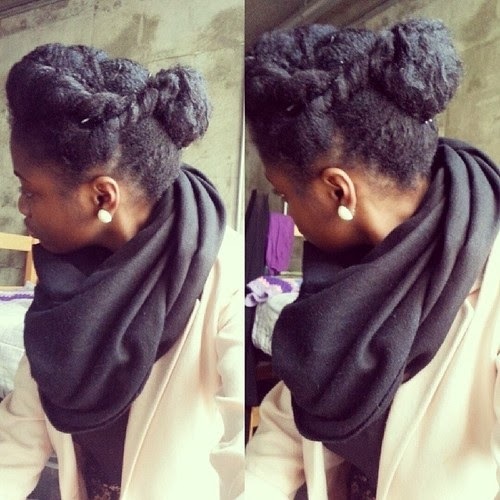 Because I am a working college student, I try to keep it my hair routine as simple as possible. My hair is in protective styles much of the time. I also only use natural and organic products for my hair, and I am consistent with using the same products in my hair routine. 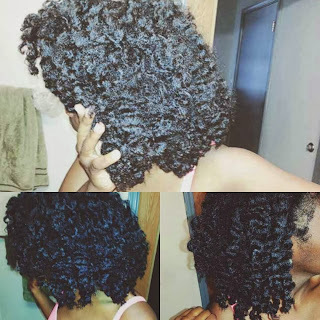 Every 2-3 weeks, I finger detangle with a conditioner (currently Suave Naturals Tropical Coconut) on damp hair and section my hair into about 6-8 twists. I will then apply a hot oil treatment to my scalp (JBCO & rosemary oil) overnight and then get ready for the real wash day. The next day, I will shampoo my scalp and hair with a tablespoon of ACV, Shea Moisture’s Moisture Retention shampoo, and a water mixture. I follow up with deep conditioning for about 45 minutes, which usually consists one of my two favourite conditioners, Aubrey Organics Honeysuckle Rose or Yes to Carrots, a variety of oils, and organic honey. Sometimes, I’ll add an egg or yogurt to the mix, but because my hair is already quite coarse and strong, I use protein with caution. Once I rinse that out, I begin the styling process with two strand twists as my protective style using my DIY shea butter creme. To refresh my twists for the next 2-3 weeks, I spritz a mixture of water and jojoba oil. When it’s not in protective styles, the process is still the same for braid outs, twist outs, buns, etc. My healthy body routine is all-encompassing! :-) Stress, for example, is ridiculous on my body and mind, so when I am stressed I choose to completely forget about what is causing it, and take up any activity to stop the stressors, such as doing something as simple as going for a walk. I am very careful about what I eat, and what goes into my body. I pay close attention to how foods affect me. I opt for more greens, plenty of fruits, fishes, and I limit my sugar and processed food intake. I also have a homemade smoothie every morning. I am also “very wary about my dairy” too lol, and have chosen to drink organic sweet almond milk (my favourite!) and a selection of organic or natural yogurts and eggs. Dairy alone breaks the heck out of my skin, so choosing hormone-free options has completely stopped this from happening. Also, with that being said, the health and look of my skin is also important to me. Because so many skin care products have irritating and harsh ingredients, I use more natural and organic skin products, or I make my own, such as my DIY shea butter creme. I also only use Dudu-Osun (African black soap) to wash my face, and sweet almond oil to moisturise it. I would first say to learn to love your hair. Sometimes, it is very easy to develop “hair envy”, resulting in not appreciating the crown that grows from your own head. Secondly, focusing on hair health is more important than hair length, which was something that I used to never value myself, and the reason why I big chopped the second time in June of 2012. However, it makes so much sense. Healthy hair is growing hair, and not all growing hair is healthy! 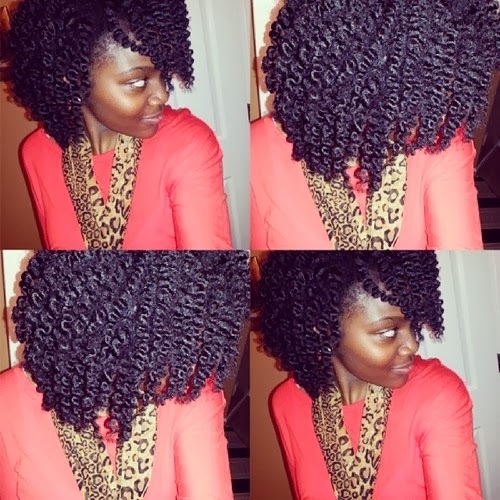 If you are always thinking about obtaining length, then it results in frustration. Natural hair is not a destination to just achieving length, so it’s important to see it as a journey, and to enjoy it for what it is! With that being said, patience is also an integral piece to that. You can find me on my blog: naijacurls.tumblr.com, where I blog about my healthy hair journey.